We are offering the chance to leave your own footprint in the tale of Chainsaw Warrior, by designing a card to be used in his latest adventure, ‘Chainsaw Warrior: Lords of the Night’. We are looking for your best idea for a weapon, item of equipment, zombie, monster or trap. Our favourite of the entries will actually get added to the game, and the creator will be given a special design credit! If there was one weapon or item you could equip him with to aid him in his mission, or a trap or monster to slow him down, what would it be? Chainsaw Warrior relies heavily on his kit when he's off saving the world. From his trusty 'saw, devices like the Heat Detector warning him of approaching threats, all the way to the bullet-spewing chaos of the Reaper, his loadout has saved what skin he has left more than once. Perhaps you want to make this tough game even tougher? Can you design a new opponent or trap to mash, stab or eviscerate Chainsaw Warrior? Get creative, send us some sketches if you have an idea of how you would like it to appear, and we will design and implement the card into the game! 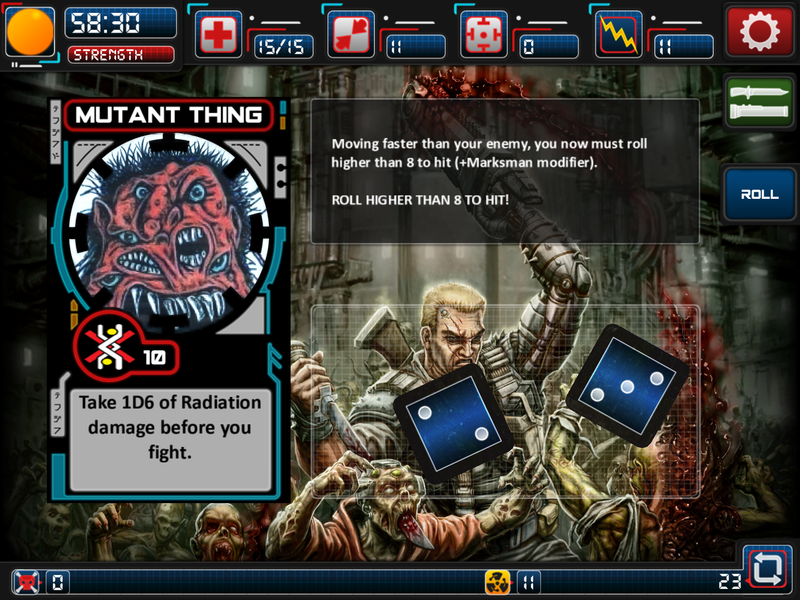 It can be a hand-to-hand, light or heavy weapon, an item such as a piece of technology or transport, an item of clothing or armour, a trap card, or a new enemy for Chainsaw Warrior to overcome. To apply simply submit your design work to gtn@aurochdigital.com before the 31st August. This competition applies to 'Chainsaw Warrior: Lords of the Night' only. We’d love to hear your thoughts on Facebook or Twitter too!